I have seen some of my blogger friends asking where does the time go, and I would like some help with that question! It seems like I just shared my Easter Cookie Cups, and here we are already to May's "Fill the Cookie Jar"! This month the theme is "Mother's Favorites". I turned the cookie decision process over to my mom, and she requested "Lemon". Other than that, Mom left it up to me. I made a couple different recipes, and this one was the hit. Loved by all, and requests for more! 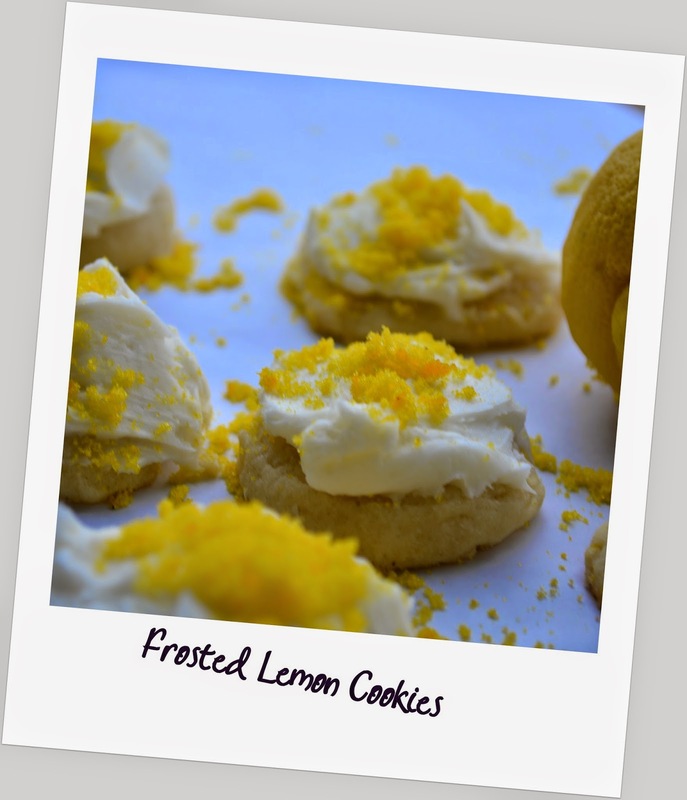 It is a soft, chewy, bright flavored cookie, with the lemon zest bringing the lemon flavor to the top! These cookies were just as popular without the frosting, so if you are looking to save time, or calories, feel free to skip it! They will be just as popular. Cream butter and sugar. Add egg (plus one egg yolk), mix well. Add lemon juice, and zest, mixing until combined. Slowly add flour, baking powder, and salt. Mix until dough forms a ball. Cover and chill dough for at least one hour. Preheat oven to 350 degrees. Line baking sheets with parchment paper. Using small cookie scoop, drop dough onto cookie sheet two to three inches apart. Bake for 9-11 minutes, just until edges are starting to turn golden. Cool for 5 minutes on cookie sheet, then transfer to cooling rack. While cookies are cooling, in large mixing bowl add butter, lemon juice, and lemon extract. Mix until smooth and creamy. Slowly add powdered sugar, mixing until desired consistency for spreading. Add more powdered sugar as needed, if you want it thicker. Frost when cookies are completely cooled. **For the bright colored decorating sugar: Put 3 Tablespoons granulated sugar in a small bag. Add 1/8 tsp of yellow gel food coloring. Squish the gel and the sugar around for a couple minutes until the two are completely mixed together. These look so bright and amazing! That yellow sugar topping has given them such a nice and beautiful touch. 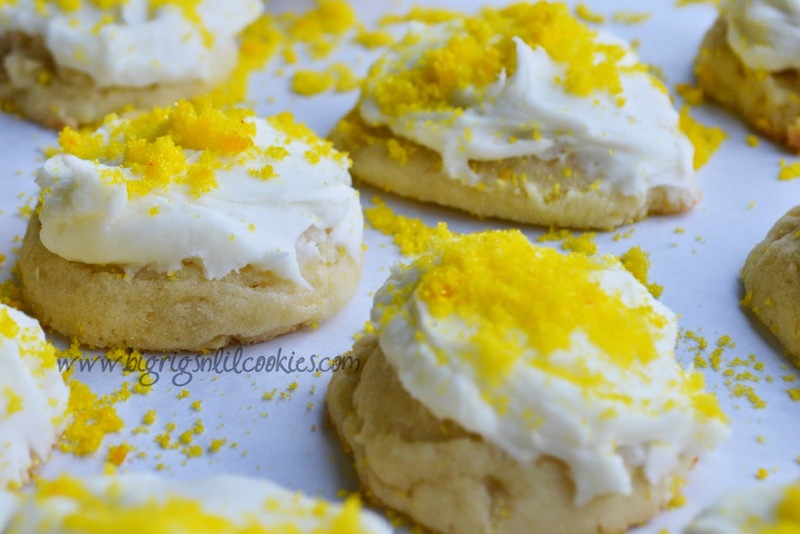 I love lemon in cookies. And these look so light and fluffy. Thanks for the comment about skipping the icing, but I think I would keep it! To me it is always the best part. 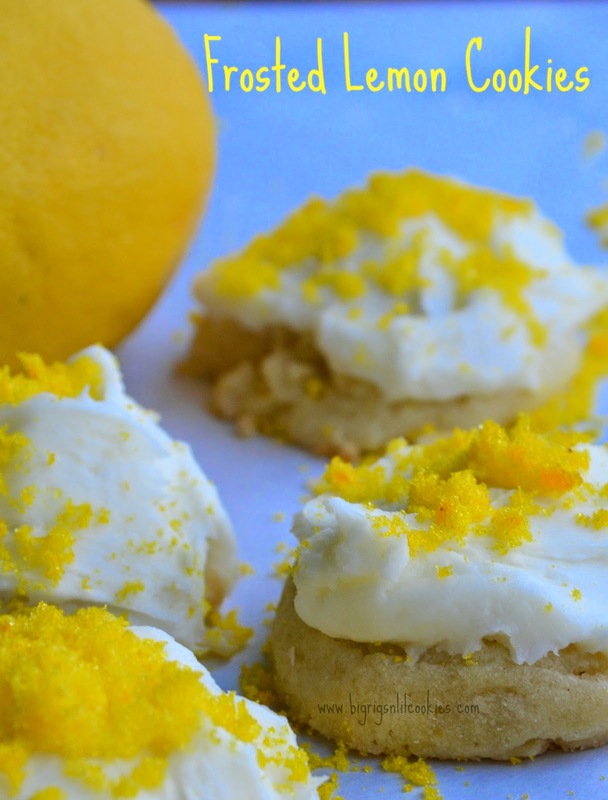 These lemon cookies look like the perfect summer treat. 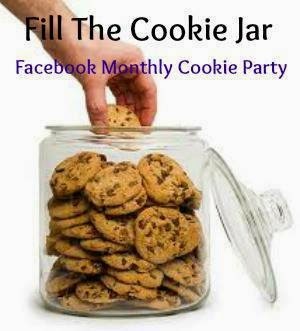 Thanks for sharing these at the Fill The Cookie Jar group! Always happy to see what you bake! I love lemon cookies icing or not. Yum! These are a delicious summer cookie. 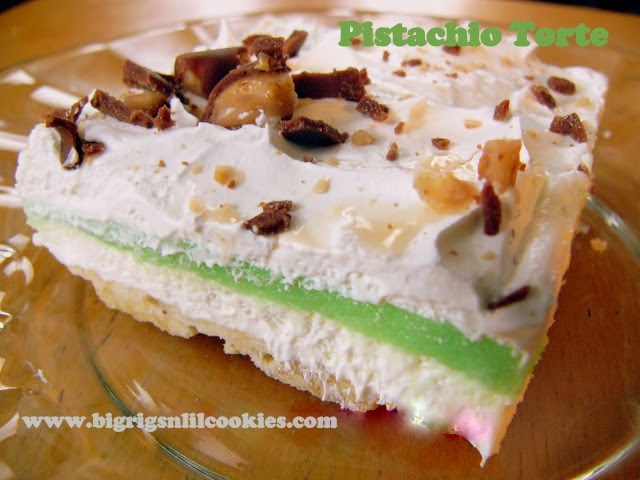 They look awesome and would be a great addition to the dessert table. Love the lemon....!!!! Can I just eat the frosting? And then nibble the soft cookie? These look store bought and so good! I do believe the scent of lemon is wafting through the computer screen. My hubby would love these! I love lemon! These look SO delicious! I must make them soon :) Thanks for sharing! Looks delicious. Thanks for sharing with us at Throwback Thursday. Pinned and shared! Yum! These look so good! I am really loving citrus baked goods right now and these would be perfect!